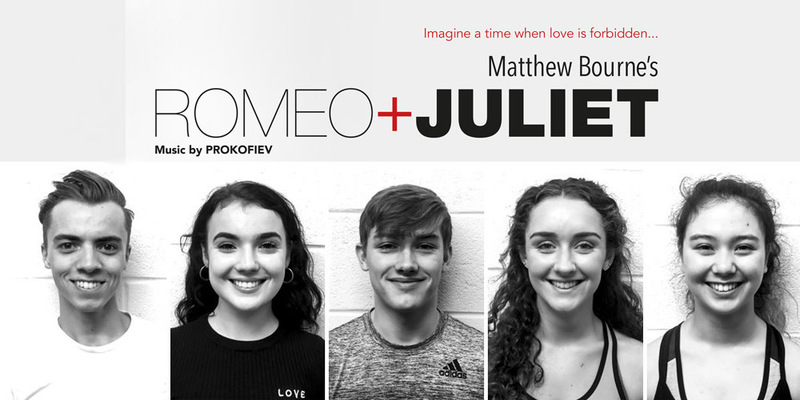 New Adventures is delighted to announce full casting for the world premiere of Matthew Bourne’s Romeo and Juliet which will open at the Theatre Royal Nottingham on Tuesday 1 to Saturday 5 October 2019, as part of a UK tour to 13 venues. As part of New Adventures’ ambition to support, the next generation of on-stage talent Romeo and Juliet will feature the finest emerging male and female dancers from around the UK. The search began in April 2018 with a call-out for young dancers currently in training aged between 16 and 19. Attracting over 1000 applications and following a UK-wide audition tour, Young Cast members will perform at each venue alongside the New Adventures company. Matthew Bourne said today “As we enter our fourth decade as a company I’m finding the development of young talent ever more important and fulfilling… I have been overwhelmed by the talent that we have had to choose from throughout the UK. In turn, after 30 years as a professional choreographer, I look forward to being refreshed and inspired by what this team of young artists will bring to Shakespeare’s classic tale of tragic conflict and young love”.